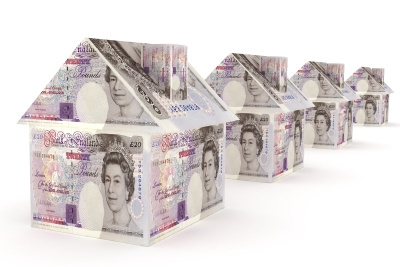 The £1.8 trillion increase is equivalent to £76,316 per household in the owner-occupied and private rented sectors. The value of the UK private residential housing stock has grown at a faster rate than consumer prices, with the retail price index up by 35% in the past decade. In the past year, the value of private housing stock grew by £262 billion, mainly reflecting average house price growth of 4% in the year to August. The value of mortgage debt has also grown, rising by 35% since 2005 from £942 billion to £1.28 trillion. Nonetheless, the value of the private housing stock has grown by over five times as much as outstanding mortgage debt; £1.8 trillion compared with £334 billion. As a result, housing equity has increased by £1.4 trillion (60%) over the decade from £2.4 trillion in 2005 to £3.8 trillion. Regionally, there is a wide variation in the level of housing equity, with a higher balance in the south compared to northern areas. The highest is in London where housing equity is estimated at £798 billion, equivalent to £305,749 per household. The next largest is South East (£722 billion, £223,197 per household), and the East (£461 billion, £212,263 per household). Outside southern England, the highest equity levels are in the North West (£283 billion £109,043 per household), West Midlands (£251 billion, £128,703 per household) and Scotland (£241 billion, £124,679 per household). Martin Ellis, housing economist at Halifax, commented “The combined value of all privately owned houses in the UK is estimated at close to £5.1 trillion in 2015. The increase in total housing value over the past decade is equivalent to over £76,000 per privately owned property. Aggregate net housing equity held by UK households is in a healthy state with total housing assets worth nearly £4 trillion more than the total value of mortgage debt. Despite the rapid rise in mortgage debt over the past ten year, net housing equity has grown by £1.4 trillion since 2005."